When it comes to books I generally prefer mine with a little age. The softened corners of often turned pages are hallmarks of being so well loved they've been carried around in various pockets or bags to read on the move and if there are notes or inscriptions then so much the better . . . . Yet show me a brand spanking new copy of an old favourite in a special/limited edition binding and I've got to have it. I'm a walking contradiction! 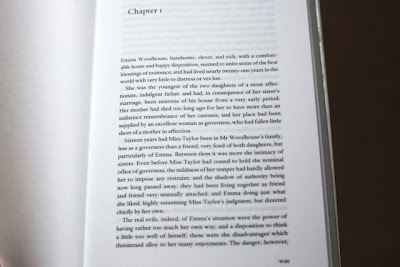 That was exactly what happened with this copy of Emma by Jane Austen: it screamed 'buy me' before I'd even glimpsed it properly and was bought and bagged inside 2 minutes as there was only 1 in the shop and I knew it wouldn't be left on the shelf very long! 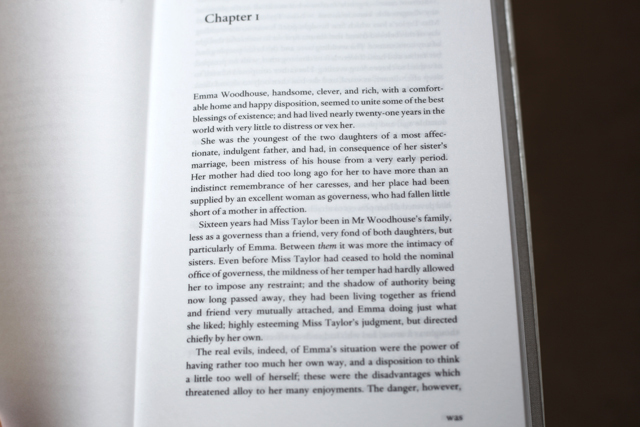 This edition is from the White's Fine Editions series produced by White's Books of London. 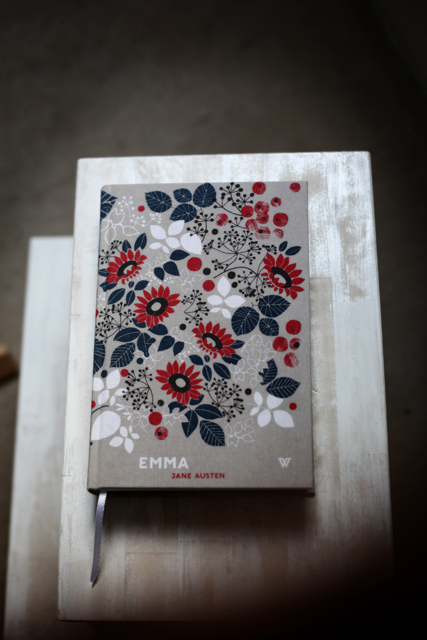 The pattern on the clothbound cover and the endpapers is by textile designer Amy Gibson and although it bears little relevance to the novel it totally won me over! The title page is simple and elegant and I've really enjoyed reading it because the paper feels amazing. 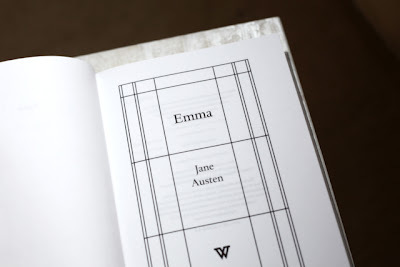 Even the typeface had me swooning and now I have Emma I'm already eyeing up the other editions from the series . . . we'll see if I can exercise some self control though! oh how gorgeous !! id love one,dont blame you snapping it up super fast! beautiful covers!! sooo much different from the other copies of Jane austen's...gorgeous! gotta keep an eye on it and buy for myself!! I too love my books old and well loved BUT I can never pass up a book bound with a beautiful old fashioned cloth cover! 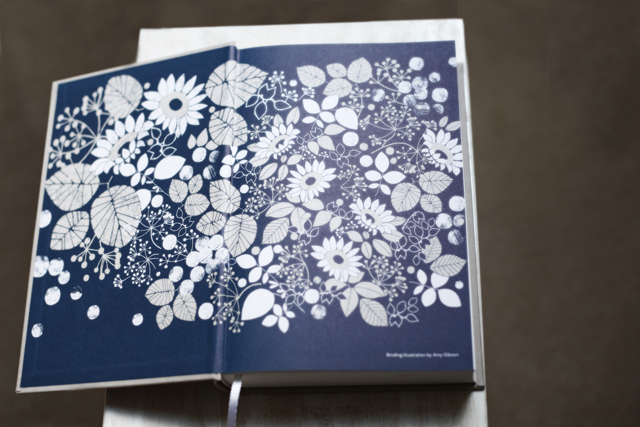 I can see why you had to have this one, it's just beautiful.I so wish more books were printed this way, with beautiful endpapers etc. 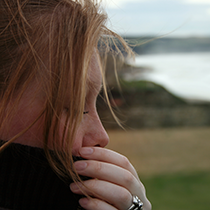 I suppose it's cost that precludes it being seen more often. Enjoy this lovely addition to your library. I love old books as well and am still kicking myself about the old Emma book I saw last year and left behind and when I went back it was gone. 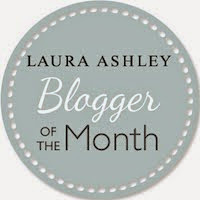 I have just found your blog and it is lovely!